Tai Chi Chuan (Taiji Quan) is considered to be one of the internal styles of Chinese martial art, and is the most widely practiced martial art in the world today. The term "Tai Chi" refers to the ancient Chinese cosmological concept of the interplay between two opposite yet complementary forces (Yin and Yang) as being the foundation of creation. "Chuan" literally means "fist" and denotes an unarmed method of combat. 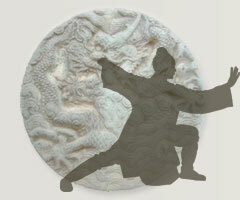 Tai Chi Chuan as a martial art is based on the principle of the soft overcoming the hard.